Food Selection. You’re guaranteed to get decent quality food with good variety of proteins and vegetables. Logistics and Time. For most of us, if we have healthy food that’s readily available, we’ll eat it. We mess up when we run out of time or don’t have a plan. That’s when it’s easier to revert back to quick, less healthy meals (mac and cheese, a bowel of cereal, or something at the drive through) or snacks (grazing on chips and granola bars). Portion Control. Delivered meals are all pre-measured for you (although you might have to augment the meals sometimes. More on this later). 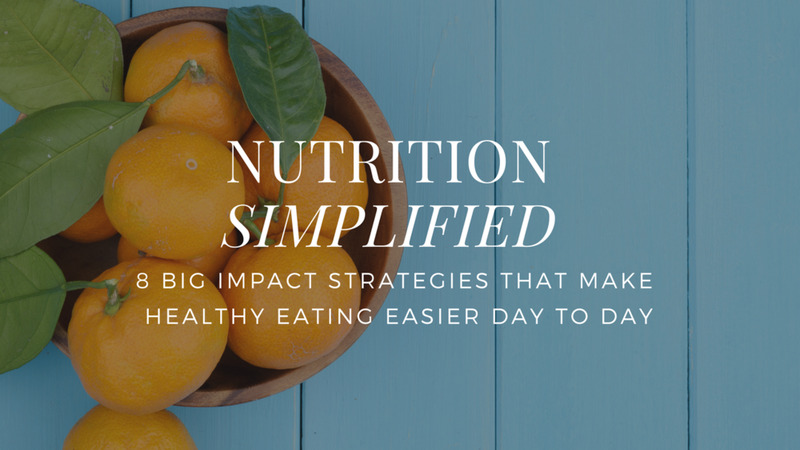 If you sat back and thought “how can I made my nutrition plan as easy to follow as possible?”, having healthy meals delivered to your door would be on top of the list. Why else would someone like rapper Rick Ross hire a personal chef during his 90lbs weight loss journey? Having healthy food show up ready to eat takes all the choice and work out of your diet equation. You’re left with two very simple jobs: eat the food you’re given and don’t buy junk food at the grocery store. That kind of simplification dramatically improves your chance of success! Some people like getting all of their meals delivered. Others just like having their lunches taken care of. Still others get a few diners each week to use as stop gaps when they don’t have to time to prep something healthy themselves. It’s not all or nothing. Meal delivery can work for an assortment of needs. If you don’t like to cook, are time poor, or can’t consistently execute on the logistics of healthy eating, consider throwing a bit of money at the problem and getting it solved. Price. It definitely costs more than making all of your own food. Having said that, it doesn’t cost more than buying lunch at the food court and it’s also an investment in your health and success, just like a gym membership. Variety. Depending on the delivery service, some have more selection than others. Portion sizes. If you’re bigger/have higher energy intake needs, you might need to augment the meals as they tend to be on the smaller side. If you’re not sure, ask a nutrition coach or consult with the meal delivery company. 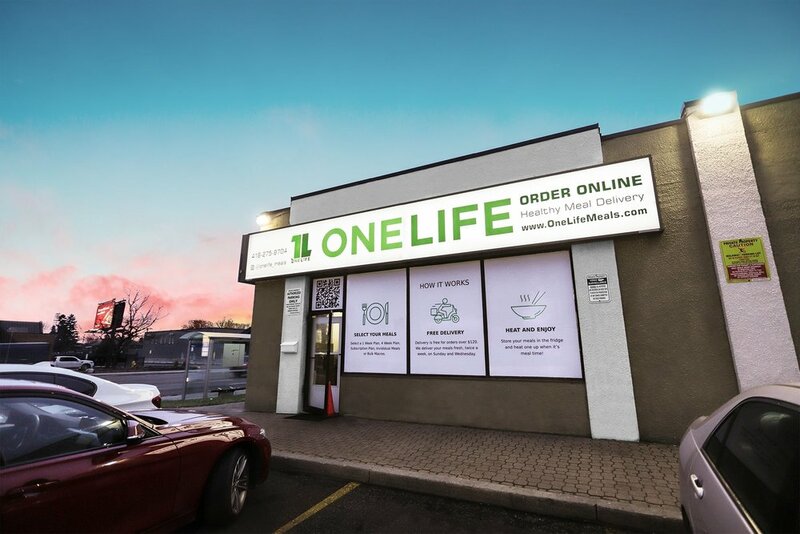 I recently caught up with Andrei Calinescu, owner of Toronto meal delivery service One Life Meals, to ask him more about the world of healthy meal delivery. I have no affiliation with them, but I can say that several clients have used their service and enjoyed it. Q. Whether people live locally or anywhere in a major city with access to meal delivery services, what factors should people take into account when they're researching/picking which meal delivery service company to try? A. I would say connect as much as possible with the company. Get a good feel for their philosophy, the type of ingredients they use and how transparent they are. Transparency is huge. Ask if there is an open-door policy, and if not, why not? At Toronto meal delivery service One Life Meals, we are very transparent on social media and we always welcome clients to our kitchen. I believe it is very important for clients to know who makes their food and how it is made. Q: Why did you pick meal delivery as your business? What's your quick background story? A: I’m an engineer by trade, but after 5 years in the corporate world I make my way into the fitness industry. In 2012 I went on my own, and started training clients privately. In an effort to make it even easier for my clients, we started preparing meals for some of them. For this, I enlisted my mom, a champ in the kitchen, who was more than happy to help. She would cook entrees on a weekly basis and bring them to me. I made the breakfast meals in my apartment. My clients would come and pick up their meals on Sunday, and they were set for the week. The demand for meals quickly started growing, and it became obvious that we had to make a move. In July 2014, we decided to soldier up and move into a commercial kitchen. Best decision we made! Q: What kind of clients do you typically get? A. The majority of our clients are busy professionals, both women and men, in their 20’s, 30’s and 40’s, looking to lose those 10-20lbs extra pounds and keep them off. We also have many clients that are already in their desired shape, and are looking for the convenience of not having to prep their own meals. Q: Do people have any common misconceptions about meal delivery services? A. The most common misconception is that all the meals are bland and lack flavour. 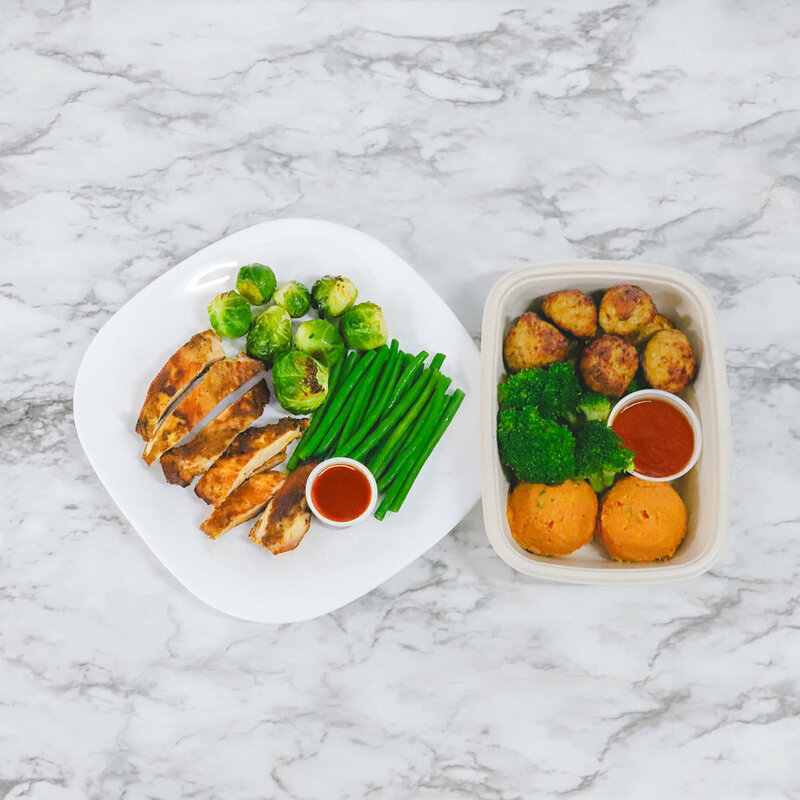 Our Athlete meals for example do have less flavour and variety, by design, but our Lifestyle meals are very flavourful and there is a lot of variety as well. Most clients are pleasantly surprised with the taste of the Lifestyle meals. Q: Restaurants are well known to cook for taste, not necessarily for health. Butter, sugar and salt are used in quantities that you'd never use at home. What's your philosophy on taste vs. health? A. I think that Taste vs. Health will be a big field of study for many years to come. This is something that we always counsel our clients on, as it is very difficult to adopt a healthier lifestyle and improve our overall health without getting a better understanding and control of our cravings and desires. The reality is that we get instant gratification from foods high in sugar and fat. Here’s my theory. Back in the day, when we lived in scarce times, the problem was not that we ate too much, but the opposite. We did not eat enough. Not by choice, but because food was not as readily available as it is today. For survival reasons, we evolved to favor foods higher in calories (fat) and foods that boosted our energy the quickest (sugar). In today's opposite world of abundance, that wiring works against us. I believe that now, for us to successfully adopt a healthy, sustainable lifestyle, we need to learn to train our mind, to strategically rewire our taste mechanism, our pleasure reward systems and our craving signals. Lots of work here, but many have been able to do it successfully and the results are worth the investment! Q. From your experience, what are the absolute basics of healthy eating for the average person who wants to drop a few pounds and feel better? A. First, structure is critical. We have seen great results with clients eating 3, 4, 5 or 6 meals per day. The idea is to develop a repeatable daily structure and stick with it. Our body loves being able to anticipate what will happen next. It’s a habit machine. Next, having an awareness of our calorie and macro nutrient intake but not obsessing over them is really important. We need to think about the lifestyle we’re creating and whether we can do it everyday for the long term. Then it’s all about finding an eating frequency and number of meals per day that work best with our daily routine. Again, we have seen great results with our clients with all of our different meal plans. The more care that goes into selecting a plan that suits you best, the higher the probability that you will stick with it, and that you will achieve and maintain your results. Besides the regular meals, water consumption, some strategic snacks at the right time of day, sleep quality, and stress management all help boost our results. We offer free 30-minute phone consultations to all our new clients, where we work together to select the right plan for them. Q. Is there anything that's surprised you since you started this business/working with clients on meal delivery? A. I have to admit, even though I was aware this business model would not be the easiest, I was surprised by how much I underestimated it. We started in 2014 with no capital, therefore hiring professionals was not an option. Between my mom, myself and a couple of initial friends that volunteered a few hours of their time, we had to quickly figure out many different critical tasks. There were the issues of cooking home style food on a large scale, maintaining food quality without using preservatives, making healthy food tasty without the extra fat and sugar, portion control, training staff, finding a way to deliver thousands of fresh meals per week and developing a custom order management system, to name a few. The first 3 years were very difficult, full of challenges and surprises. It was also an amazing adventure for our small and stubborn enough team! They say what doesn’t kill you makes you stronger! We can all vouch for that!! Our experience with our clients has been unreal! We are very blessed to be in a position where we can positively affect so many people that we have not even met. At the moment, we do not invest much in marketing. We focus on customer service and keeping our clients happy. That is our organic growth strategy, going the extra mile for our clients and giving them a good reason to spread the word. It works! Q. What meal do you think people typically need the most help with/mess up the most? Any theories on why that might be? A. It really depends on the individual. We have some clients that skip breakfast because they are always late in the morning. For them, getting their breakfast meals from One Life Meals is critical. We have clients that skip lunch or have an unhealthy lunch, because there are no other options at work. For them, of course, we need to include lunch meals. Dinner is a tough one too for many clients. Getting home late from work, the options are limited, and not very healthy. One Life Meals entrees are great for dinner as well. Q. If your average meals are around 350-500cals each (rough estimate from your website), is that enough food for the average person? How do you recommend clients use the meals in conjunction with other snacks? What about big active people who need 3000+ cals/day? A. What we found to be most important, is developing a daily structure and sticking with it. That could be 3, 4, 5 or 6 meals per day, as long as it is tailored for the individual. We have many different clients of different sizes and activity levels, men and women that have had great results with our plans, without stressing too much about calories. For example, a smaller person could go with a 1 breakfast, 1 Lifestyle entree for lunch and 1 Athlete entree for dinner per day. This will provide a very nutritious daily food intake, ample protein, low glycemic carbs, good fats and fresh veggies. The calorie count is approximately 1300 calories per day. A larger more active person has a couple of options. We offer Bulk Macros Meals, where you can order your protein, carbs and veggies in bulk and design your own meals. You can have as many calories per day as you need. Another option is to order as many individual meals as you need to hit your desired calories per day requirement. For example, 2 breakfast meals and 4 Lifestyle entrees per day will be approximately 2800 calories. You can add some snacks as well. I am a big fan of walnuts and pumpkin seeds. Be mindful, they are very high in calories (approximately 600 calories per 100g).